A bird in the hand, means happy babies! 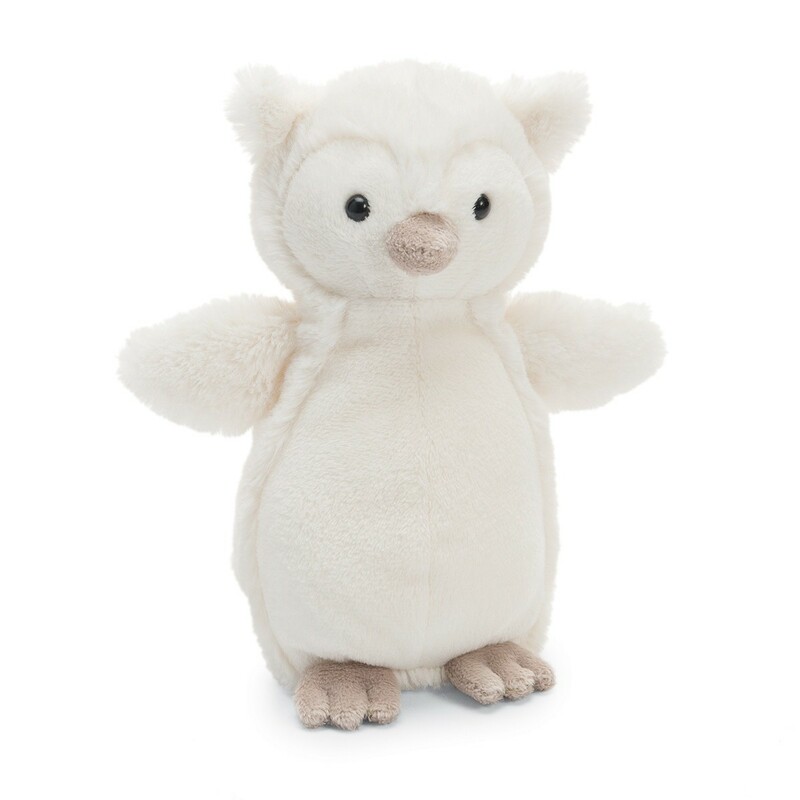 This snowy little owl is full of surprises, sure to be a firm favorite this Small Bashful Owl is soft, squishy and easy to hold. He’s the owl to reach for when your little chick is grumpy. A gentle touch of that flurry-white fur and it’ll be smiles all round!. A perfect gift for new babes! 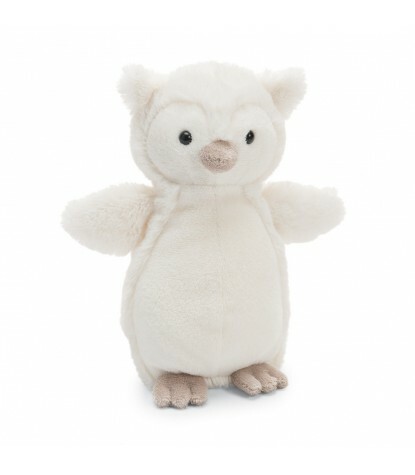 This Jellycat Stands Approximately 7” Inches Tall.